Now I know there's plenty of camping food on the market that's lightweight, freeze dried and doesn't take up much space. but that's all pretty expensive, I wanted to see what I could make with what was in the cupboards already. 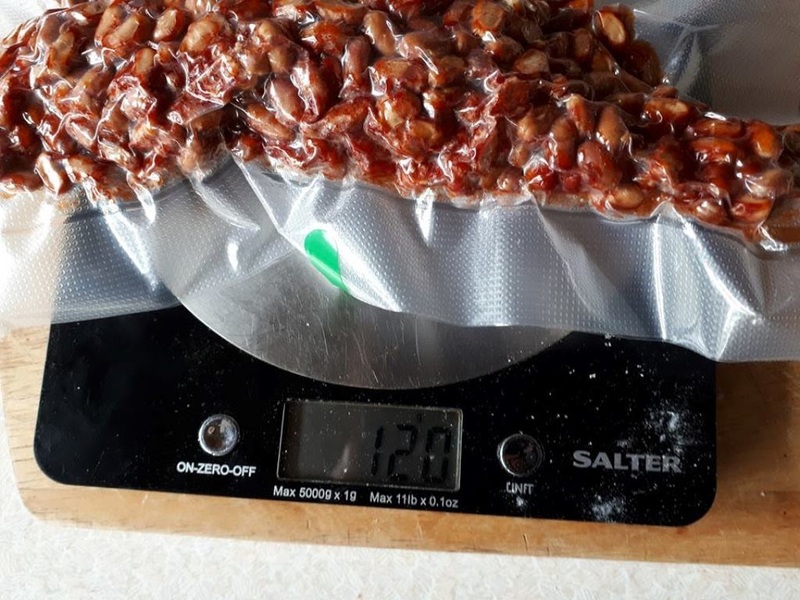 I've been following a group on Facebook called Dehydrated For Campers And Hiker In The UK where I saw a post on making a tin of baked beans into the perfect dehydrated camp food. I just thought I had to try it! So I grabbed a few tins of baked beans and weighed them. This lets me see how much water to add back in once they are dried. So the weight before dehydrating was 415g without the tin. Laid on a non stick sheet, a tin on each tray. They took a while to dry (24hours?) and I had to be sure they were dry right the way through. 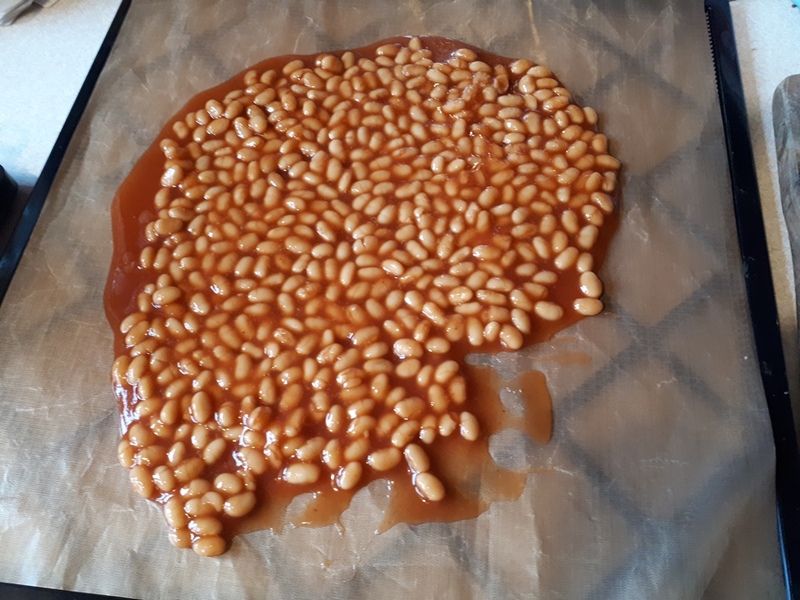 I broke a few beans in half to check! Once dry I broke them up and put them in Vac pack bags. 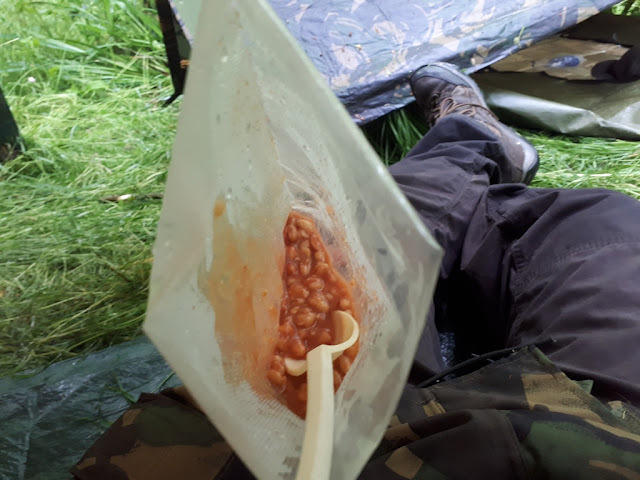 Really hard not to pierce the bags here so next time I might add a bit of kitchen roll to keep it softer against the bag itself. 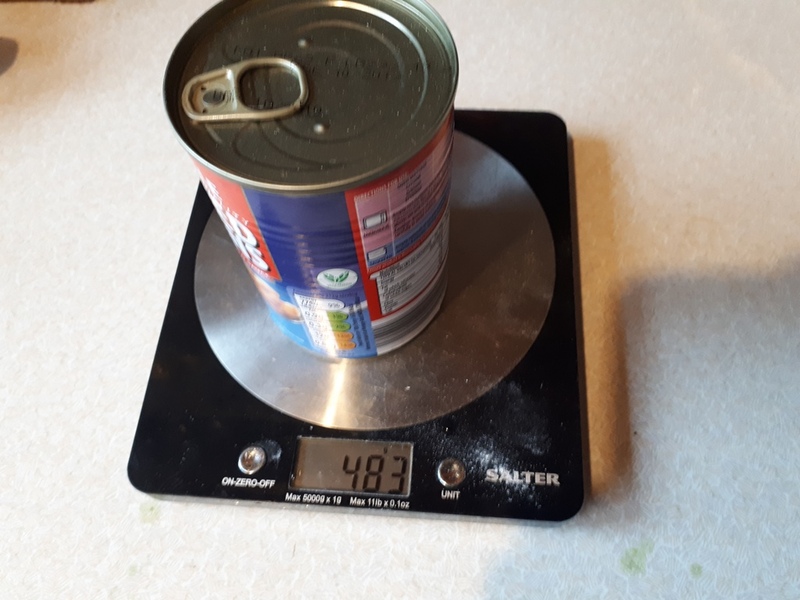 Here it weighed 120g so I would need to add back in about 295ml of boiling water to get it back to normal. 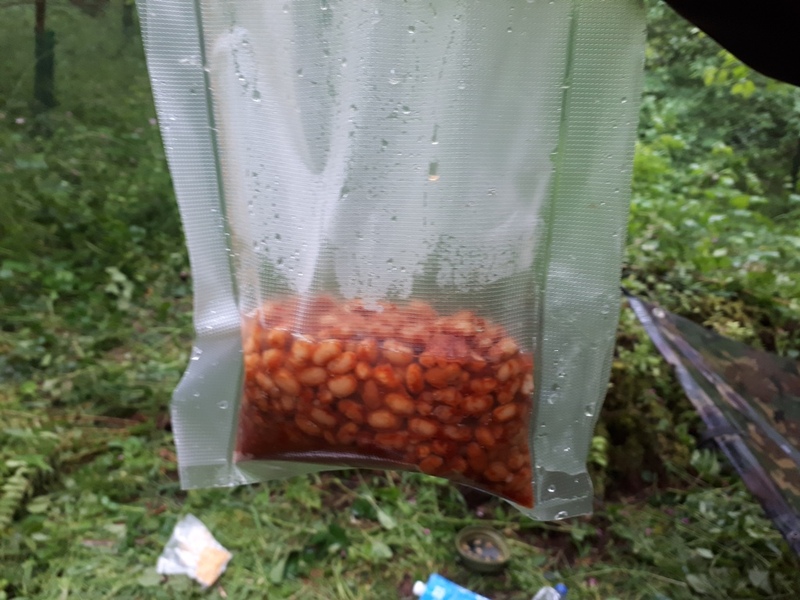 So for breakfast on the wild camp we heated up some water, added it straight to the bag and left it to rehydrate for about 10 minutes. 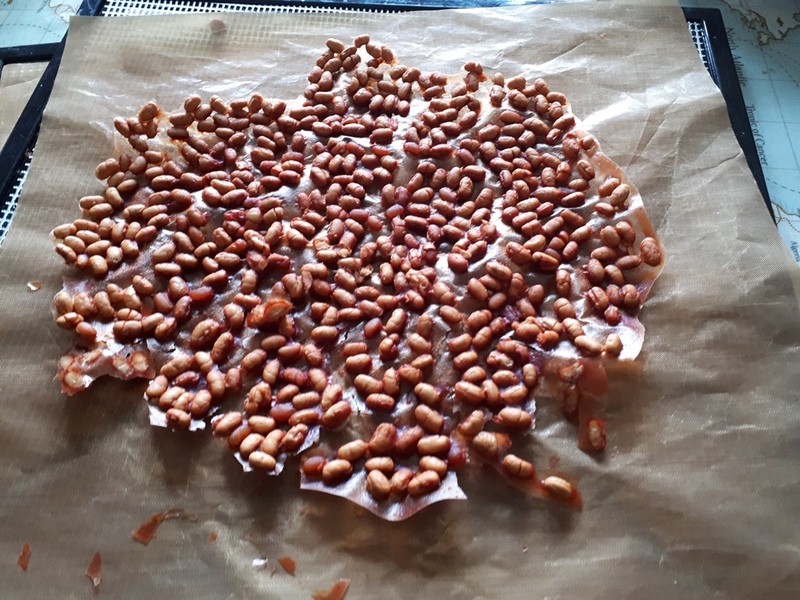 They still tasted like baked beans, maybe like some leftover ones that you'd reheated, but still really good. The vac pack bag was also good to eat from as well! So that's a massive saving of 363g of weight from my pack. Might not sound much, but when you put together a few meals it really starts to add up. Its also far cheaper than some of the other ones that are on the market. Have you ever made any light weight camping food by dehydrating? 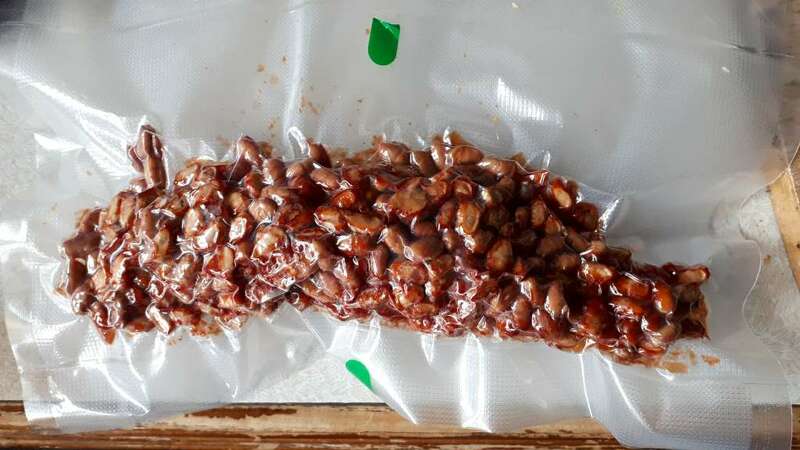 Would you eat these dehydrated baked beans? Definitely would eat those while hiking. Most commercial camping foods contain onions, and I can't eat them. 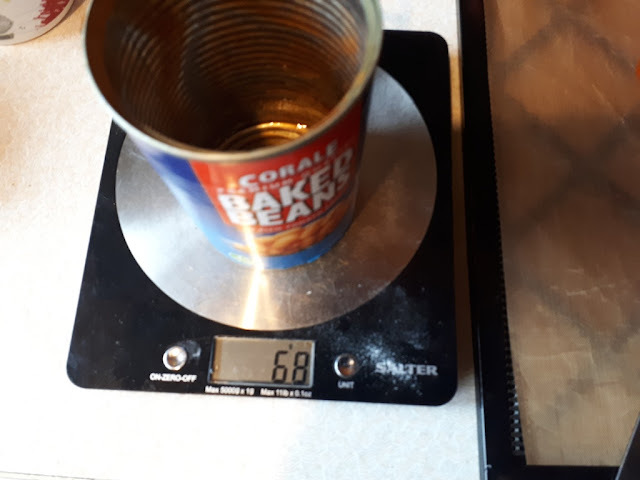 We have been using mostly tins (tuna, srdines, meat etc) and fast cooking carbs like instant rice, noodles, dehydrated mash, and of course sour dough rye bread which keeps up to a week or 10 days and crispbread which is edible as long as it is kept dry - decades. And while tins are safe way to preserve food, they are a pain to carry back home once emptied(we don't leave our trashes behind, we take them back). We use a mule for that (that is: our dogs have bags strapped to their backs and strongest one was able to carry about 7 to 10 kilos, new puppy might be able to carry max 5kg). I might even eat those beans at office as lunch on days I have forgotten to make decent packed lunch for me. I have a large collection of dried herbs (to use as spices or tea) and mushrooms (they make mash or rice into a quick lunch). These would be great for that, also the dehydrated soup I made a few months back would be great for keeping in a drawer at work. it's what my wife does as she's always foregtting her lunch (and her phone...). You can cook and safely dehydrate rice as well if done the right way, to make a n instant rice, but this is soemthign I haven't tried yet. I love the idea of your dogs carrying some gear! Bug Out Dogs! Sounds like you guys would be ready for anything!